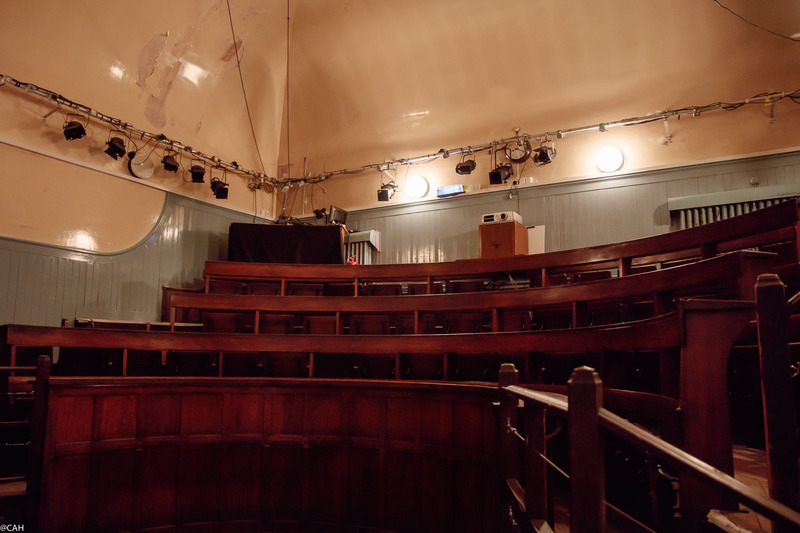 Today’s Open Door for Advent was Summerhall. 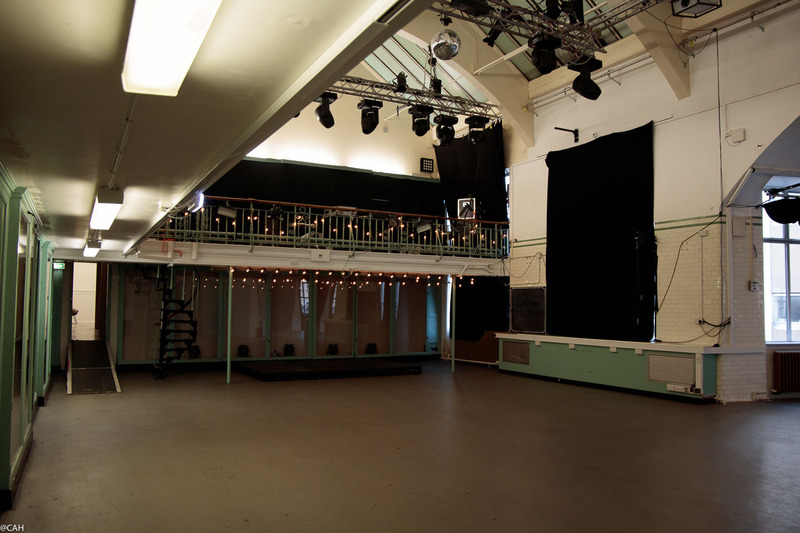 The 100-year-old building was the University of Edinburgh’s Veterinary School until 2011 but is now an events and arts hub with workshops and workspaces, exhibitions, a café, several event spaces and Pickering’s Gin Distillery. I had been in town to do a few things and on the way to Summerhall walked up Clerk Street. Like most urban areas, shops and businesses have closed in Edinburgh and some new ones have opened. For the circus performers among you, there is now a juggling shop on Clerk Street and the other thing that attracted my attention as I walked along was a notice in a shop window advertising ‘Lesbian Donkey for Sale’. The dissection room has large windows on one side unlike the one at my medical school in Marischal College in Aberdeen which was in the basement and known as ‘The Drain’. 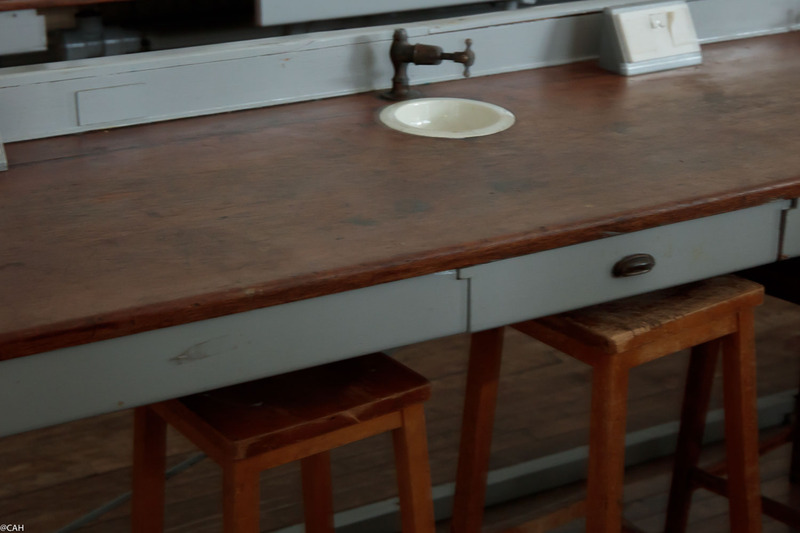 However, the old lab was very reminiscent of school science labs. At two, the tour of the exhibitions began and the group was smaller than yesterday so we could chat with each other. Our guide, Sergio Madrigal, was extremely knowledgeable about the work of Ross Fraser McLean whose exhibition was entitled ‘Ceiba – Casa de Todos Los Muertes’. 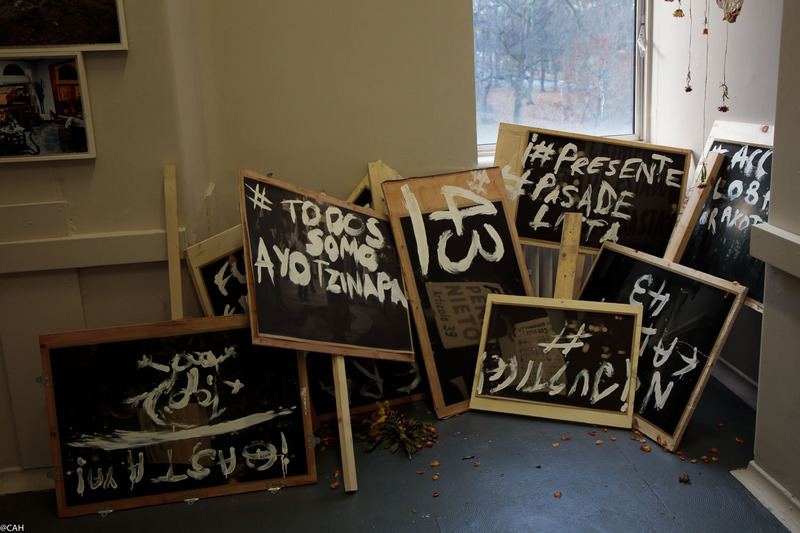 He had spent eight months exploring death in Mexico from both socio-political and spiritual stand points. 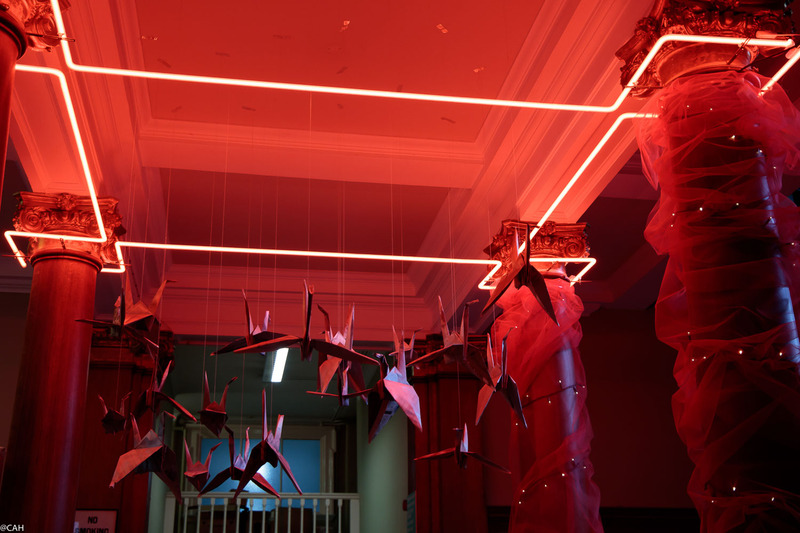 The exhibition includes photography, music and installations in the old vet school specimen display cabinets. 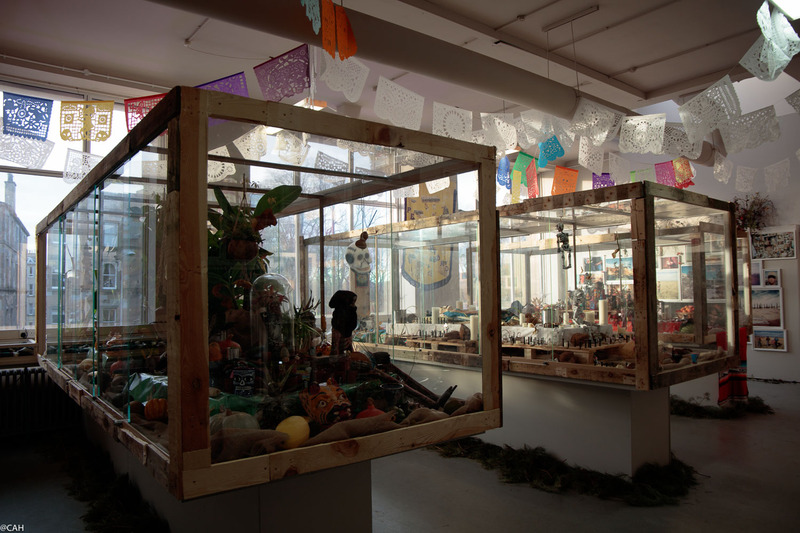 The cabinets contain Mexican craft artefacts, offerings of flowers, fruit and vegetables left to decay like offerings on an altar and other objects documenting Mexican life and death. It took almost an hour to even begin to absorb everything on display. We had a brief look at another gallery and then I had to leave. Ceiba continues until 23 December and we were told about another in the old church which is part of the complex. This exhibition chronicles the life of women in Yemen after the recent wars and is part a portrait exhibition but also comments on how their life has changed and the many ways in which gains in freedom have now been reversed. That and a tour of the gin distillery must wait for another day. 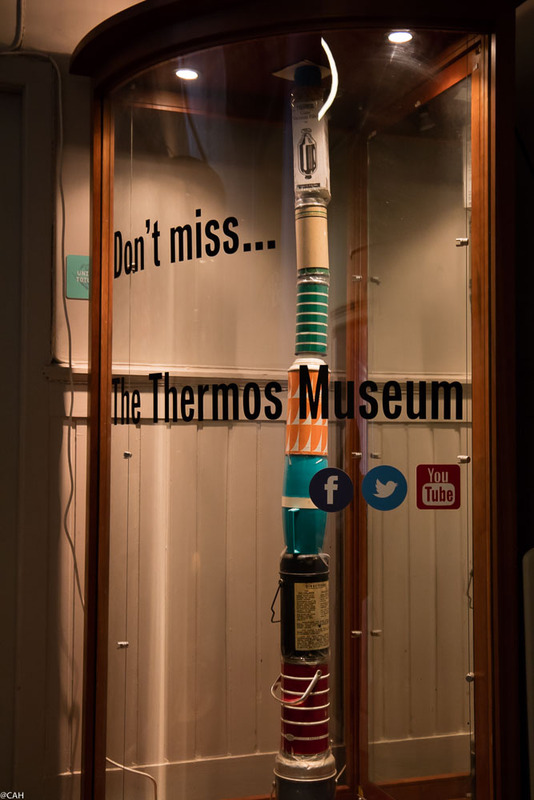 On the way out I noticed there was a Thermos Museum, another time perhaps. 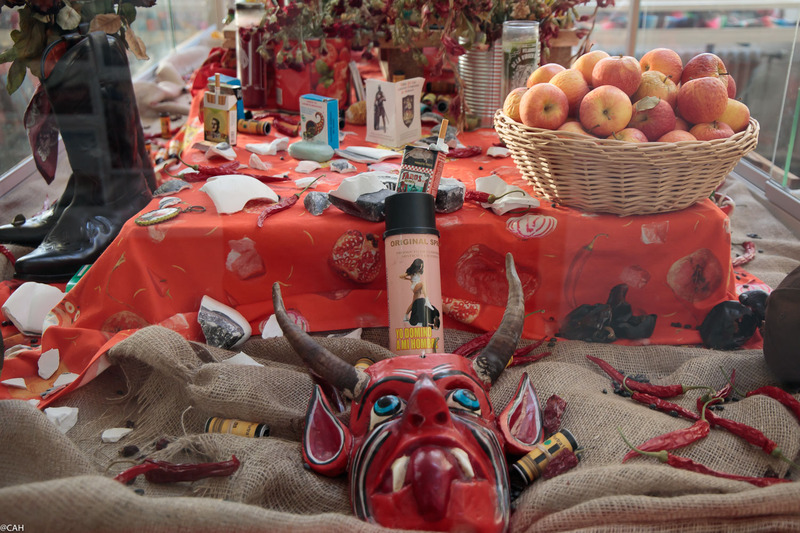 Wow – talk about an eclectic array of displays. Re: “‘Lesbian Donkey for Sale” – well, that could be an exhibition in itself. In junior high, I had a friend named Barak Marshall. Barak has become an internationally famous choreographer and his mother was an absolutely incredible singer/dancer from Yemen – he definitely inherited her gifts.